Featuring Chris Millhouse and Leah Bonnema! Adam Ray was most recently seen on HBO’s CURB YOUR ENTHUSIASM, the NETFLIX film GAME OVER MAN, and the new season of ARRESTED DEVELOPMENT. This fall he can be seen in HBO’s BALLERS, season two of AMERICAN VANDAL for NETFLIX, and on the big screen in the Jennifer Lopez comedy SECOND ACT. Adam was also a cast member in the reboot of the sketch comedy franchise MADtv for the CW and played Joey McIntyre's manager on the POP NETWORK show RETURN OF THE MAC. Adam is known from his work opposite Sandra Bullock and Melissa McCarthy in Paul Feig's buddy cop comedy THE HEAT. Adam was also featured in Paul Feig’s SPY and last summer’s reboot of GHOSTBUSTERS, in which he voiced the iconic character of SLIMER and played a supporting role as well. Adam co-hosted the comedy game show SEPARATION ANXIETY on TBS with comedian Iliza Shlesinger and has guest-starred on 2 BROKE GIRLS, WORKAHOLICS, SILICON VALLEY, and @MIDNIGHT. He has written for MTV's PUNK'D, ADAM DEVINE’S HOUSE PARTY, and the reboot of MYSTERY SCIENCE THEATER. Adam tours the country with his standup, headlining the top comedy clubs, and has opened for acts such as Adam Devine, John Legend, The New Kids on the Block, and The Goo Goo Dolls. Adam's standup has been featured on The LATE LATE SHOW WITH CRAIG FERGUSON and ADAM DEVINE’S HOUSE PARTY on Comedy Central. On the voiceover front, Adam has been the voice of CONAN for the past 2 years, has featured in cartoons like TROLLS, RICK & MORTY, and SUPERMANSION, and this fall voices the talking horse Swift Wind in the Dreamworks show SHE-RA streaming on NETFLIX. Adam is a regular on THE ADAM CAROLLA PODCAST, but also co-hosts the popular ABOUT LAST NIGHT podcast, which has welcomed guests such as Melissa McCarthy, Bill Burr, Dana Carvey, Susan Sarandon, Nick Swardson, Adam Carolla, Tony Danza, Jason Derulo, Neil Patrick Harris, Jeff Garlin, Jokoy, Whitney Cummings, Marc Maron, and Kevin Nealon. 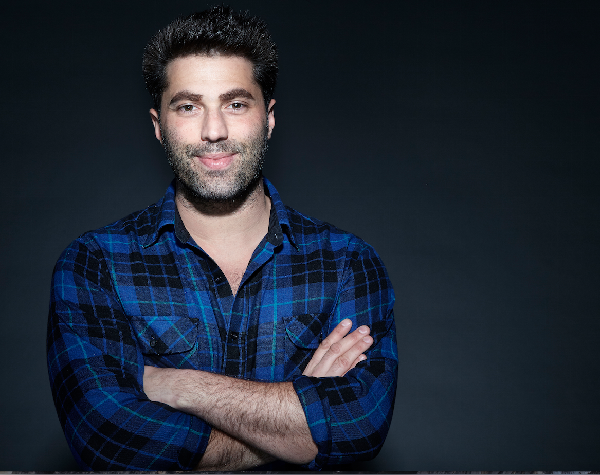 His hilarious sketches, which have garnered over 30 million views on YouTube and Funny Or Die, can be viewed at adamraycomedy.com.